Our most Haunted Location is housed along the river on the Illinois side. More specifically on the Rock Island and Moline border. To the non ghost hunting eye it looks like an abandoned island; however, for our group it is a ghost hunters paradise filled with history, deaths and things that can't be explained. This location is known as Sylvan Island. Two of our members have done close to 6 years of historical research on this location and they have loads to tell you and show you. Previous to Sylvan island, this parcel of land was used by the Native American tribes the Sac and Fox. Chief Black Hawk leader of the Sac and Fox used the land for many things. It was used for gardens, hunting and a lookout point for the Arsenal Island. Although Black Hawk and Col. George Davenport were friends, they had their differences which lead to a few disagreements and at one point came down to gun shots. During the Civil War years the Arsenal Island housed a POW camp, although there were few escape attempts. All but one escapee was shot and killed; he disappeared, never to be found. Originally the "island" was a peninsula. Sylvan island was man-made by blasting and digging out the soil and bedrock for use of water power. The first dam was placed on the island, which powered The Arsenal. When the demand for power became too great, they blasted out the trail race to double its size to allow more flow. These dams supplied power for the first electric lights used in Davenport Iowa on April 18, 1888. The island itself had many other uses. In the past, it had a rock quarry, a rock crushing machine (used as part of quarry), an ice harvesting company, a depression garden (public garden for the poor), and of course Republic steel. Republic steel recycled rail road tracks for use in implement parts. Republic began operations in the early 1890's employing around 300 people. Republic shut down in 1956. The buildings were torn down in the late 1950's. Today you can still see remnants of the buildings today (if you could get on the island). Also, just to clarify a point that a fellow paranormal lover brought up... Black Hawk was not a chief. He was a warrior. There have since been a few more drownings and we will update our info, as well as on this page. Murder vicitim Jeff Ramsey (12) June 15th 1972. Jeff's body was found 25 feet from the edge of the Sylvan slough. He was reported missing 1 week earlier. They never found the killer, but they suspect he had killed himself. In 1976 the case was closed. A worker at Republic Steele was killed instantly when a piece of steele impailed him. 2 people were blown up while swimming in the quarry. The rock crushing area had a whistle and would sound the whistle before they would blast and the 2 people didnt hear the it or they didn't get out in time and the were "blown to pieces". A little girl reportedly went ice skating on the frozen quarry and drowned when the ice broke apart. John Looney reportedly used the island to dump the bodies of people he murdered (we have seen no information on this and we were told by some older residents who lived in the area. In the years previous to Sylvan Island bridge being locked we have captured various forms of activity on the island. We have seen and encountered a full bodied apparition that tends to take on several different forms... There are several male spirits and so far 1 female which happens to be a little girl. We have captured countless EVP's that range from 1 word to full sentences. We have seen what looked like a spider monkey on crack messing with a team member (yes it sounds like a joke but in reality this "spirit" was all over the back of one of our team members) We have heard audibly drums beating (tom toms if you will) when things would start to get "bad" almost as if the Native American spirits were trying to ward off an evil entities. We have seen a full uniformed confederate soldier walking on the island. We have experienced severe temperature drops in one specific area (we would normally go in the winter when NO-ONE would want to be on the island) it would be 30 degrees out and our thermometers would pick up -54 degrees in certain areas. We have photographic evidence of mists and something coming towards a group member before "passing through" them. This location is open to the public and has recently just reopened after being closed for approximately 5 years. Rock Island Paranormal runs Paranormal Dinner tours throughout the year as well as hosting several public investigations for a small fee. 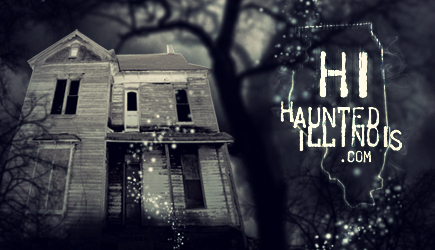 Please Visit the events section on Rock Island Paranormal's facebook page for dates and times.